Erin Greer is a Melbourne artist who creates quirky, colourful illustrations of creatures! Inspired by mythology, folklore & dreams, Erin's illustrations have an other worldly touch to them. 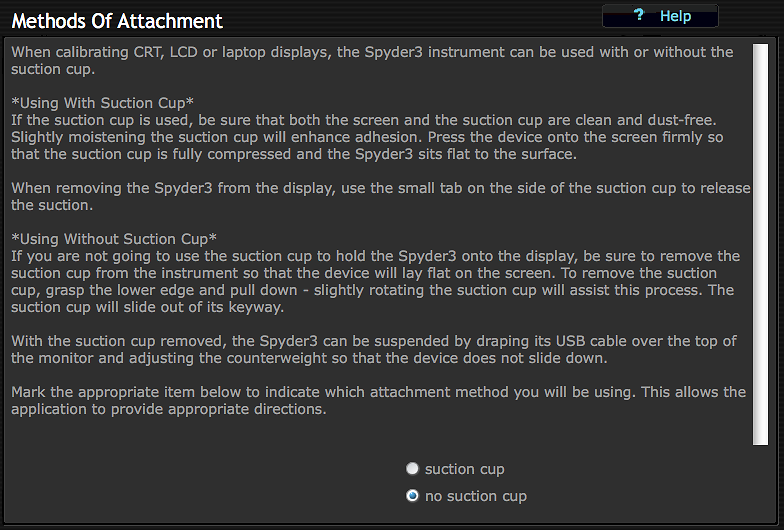 This guide is for calibrating your NEC Multisync monitor using the Mac OSX and Spyder3 Elite using traditional software calibration, but the principles are the same for any operating system or calibrator. The important thing is to set the right settings in your calibration software and to use the right controls on the NEC monitor - which are identified below. First, unpack and plug in your NEC monitor. Use a digital connection if available to you (read more about monitor connections). There is no need to install any of the software that came with your monitor and we recommend doing so only after you have gone through this initial calibration guide (if at all). The software is not required to achieve an accurate calibration. If you have changed any settings, we suggest first resetting to factory defaults (Menu - Tools - Factory Preset). Your computer should automatically detect and output the correct resolution if using a digital connection. You can check the resolution the monitor is receiving by using the 'Menu' button (the one without a label next to the 'input' button). Use the right arrow to go to the 'Information' tab (usually the fifth icon across). 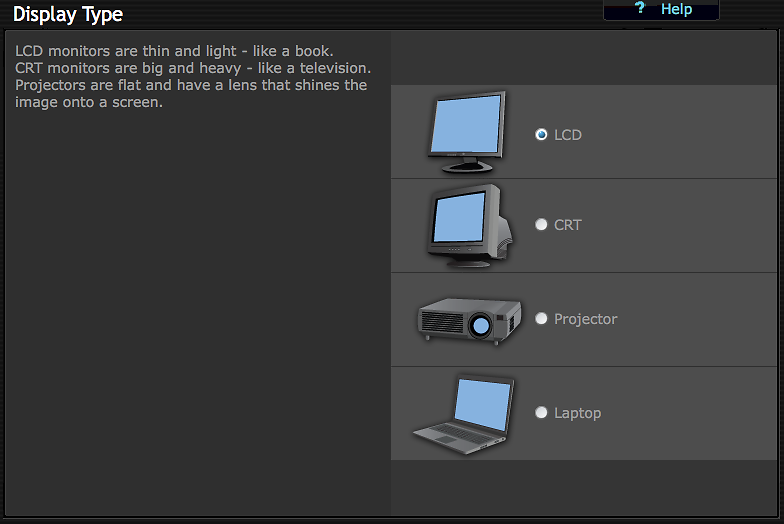 This will let you see the resolution the monitor is receiving. You should check this is the same as the panel's native resolution (this is listed on the product page of your monitor on our website). If it is not, the you will need to change the resolution your video card is outputting in your system's display preferences to the correct resolution. If you have trouble doing this under Windows, make sure you are using the latest drivers for your video card. You can also install the monitor's '.inf' file on the CD that came with the monitor - just find the right '.inf' on the CD for your screen model and double click it - this will make sure Windows has an accurate list of resolutions your monitor supports. Reboot and you should be able to set the correct resolution in Display Properties (if it fails to auto-detect again). Some of the NEC monitors have different modes you can switch between. 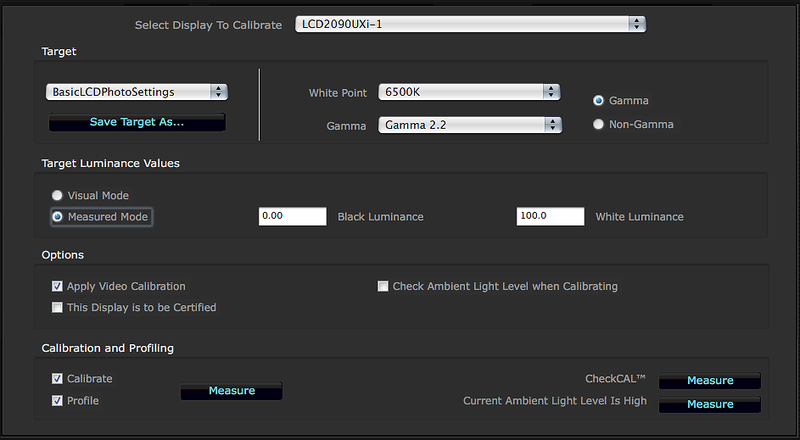 Before calibration, you want to make sure these monitors are in either the User mode, or if not offered the Standard mode, and the uniformity setting is set to maximum. Use the round button above the up/down control on the right hand side of the bezel to get to the mode menu. Then use the left right and up down buttons to switch between modes until you are in the Standard mode. Also, turn the auto luminance to off. Use the Menu Button, then the right arrow, to select 'Tools'. Use the down button to select OSM Left/Right or Down/up and move the menu into one of the corners. This way it won't come up in front of the calibrator when you need to use it! This increases the screen uniformity. 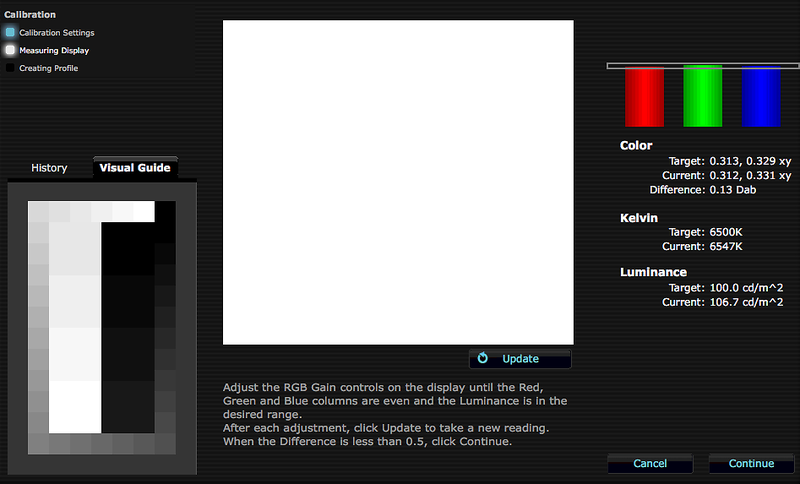 Go to Menu -> Tools -> ColorComp and choose 'On'. This can be found in the first panel you see when you hit the Menu button. You should have installed the Spyder 3 Software. This will have installed 'Spyder 3 Utility' - in the system tray on Windows and in the right hand top of the menu bar in Mac OSX. Use this to start the Spyder3 Elite software. It will probably detect your new display, and ask you some questions about it. If it does not, you can force it to ask these questions by going to the 'Go' menu and choosing 'Edit Display Information'. Ignore the 'set white luminance screen' and choose next as we're going to change this in a moment. You will need to change the 'Visual' setting for black and white to 'Measured'. Do this by going into Actions -> Expert Console. At the moment you are in 'Assistant' mode but Expert Console gives you complete control. Note: You can vary these. Do NOT change gamma without good reason. 2.2 is appropriate for print work, whether you're on a Mac or a PC. 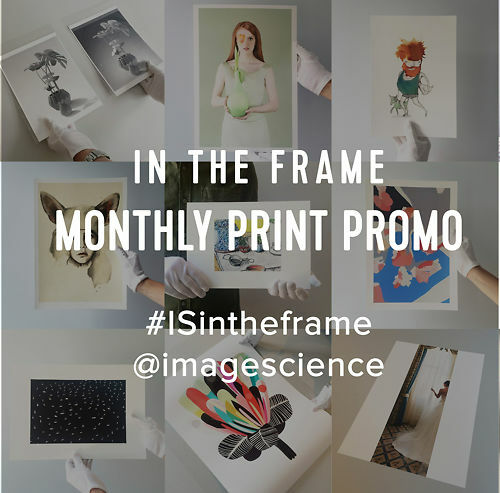 If you are using fine art papers regularly, you may find 6500K a little cool. Feel free to try a warmer white point (i.e. lower number) such as 6000K. 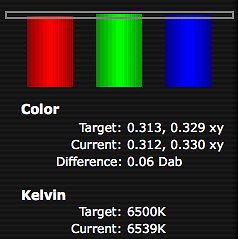 Change the luminance values to 0 for black (i.e. lowest possible black) and 100 for white (you can always re-calibrate to a lower luminosity later if you are still finding your screen too dim/bright versus your prints, but 100 is a sensible starting point). 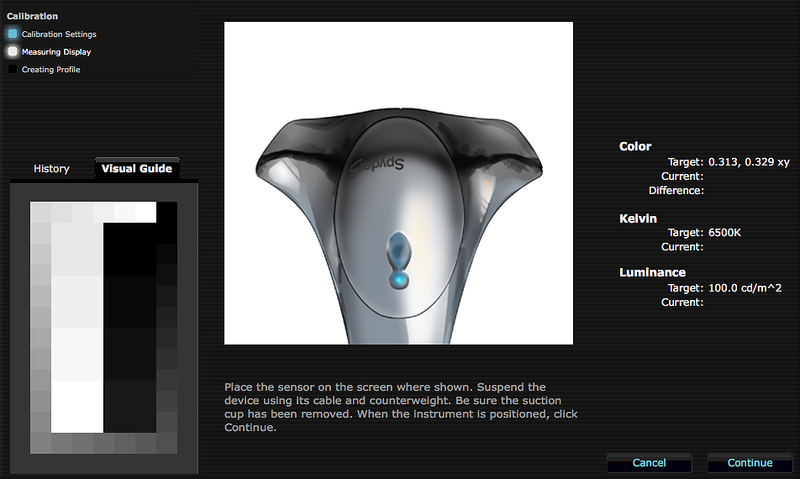 Save your calibration target with a sensible name so it is easy to retrieve later, using the button near the top. 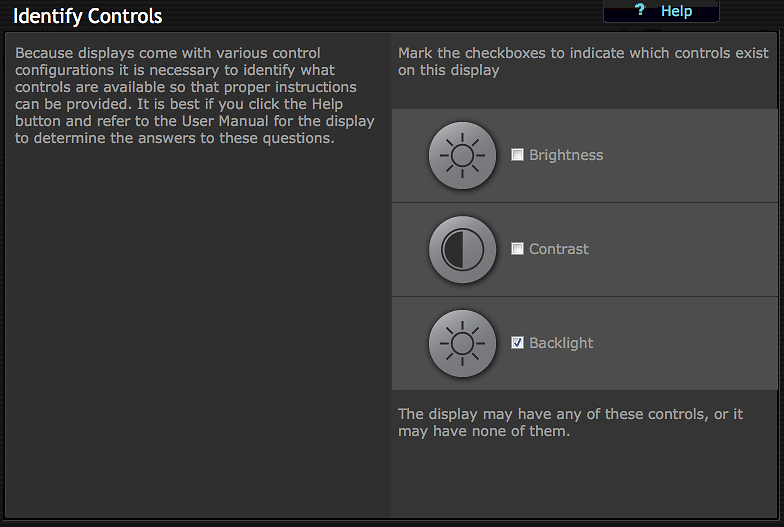 Also, make sure you have disabled the ambient light adjustment - it causes more problems than it solves. You will get this screen, and you should now tilt the screen back a few degrees and put your Spyder on the screen as per the instruction. Make sure you have removed the suction cup as this is not required. As you make any physical adjustments using the monitors controls, give the screen a few seconds to settle and then click 'update' to force a new measurement. What you are trying to achieve on this screen is to get the Red Green and Blue sliders into the middle of the bar and therefore achieve the desired white point target. On the NEC monitor, we need to engage a special mode to adjust the whitepoint. This is the only tricky part, really. 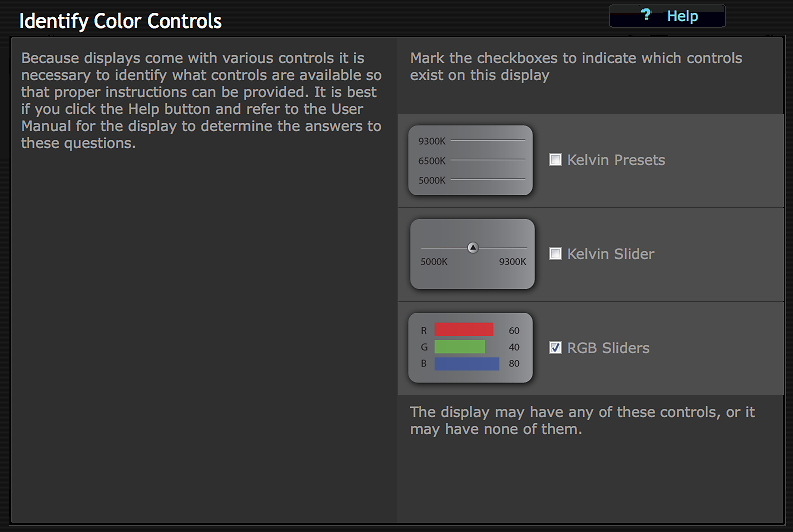 Go to Menu - RGB - and use the down arrow to so you can select from the '1 2 3 sRGB 5 N P' row. Select option 3 or any option on your screen closest to 6500K with controls for the various colours visible, as some modes won't let you calibrate the RGB channels individually. You will see your screen colour change considerably while doing this. The 'Temperature' Value will be 7500K (assuming you chose option 3). Now use the down arrow to select the 'Adjust' row. 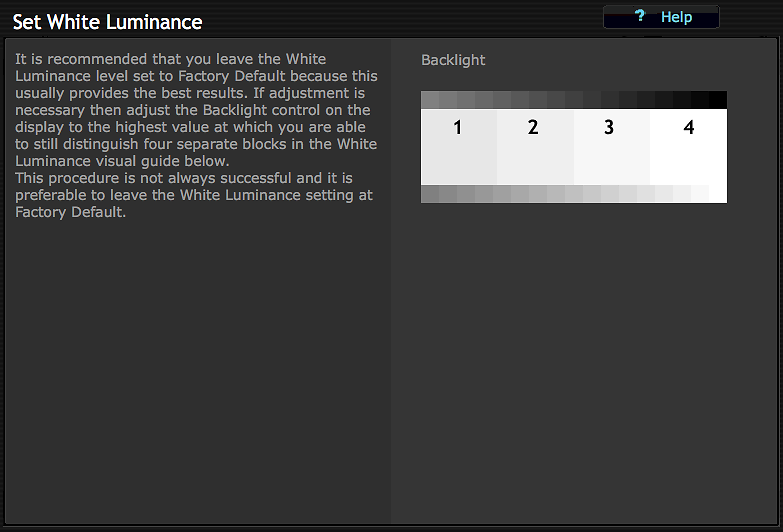 Use the Right arrow to choose 'White' and then the down arrow to move to the RGB controls. Adjust the R, G and B values to achieve the correct white point. Generally this will start with reducing the B value. Take regular measurements and before long you should have the R G and B bars in the middle of the little white bar, and therefore an accurate white point (don't stress over a few kelvin, the important thing is to be nice and close rather than perfect). Give your profile a sensible name and hit 'Next'. You can use the next screen to switch between the before and after calibration versions of your monitor - you can zoom into the little pictures (click on them a few times) to see the effect your calibration is having. Hit 'Next' and you have finished calibrating your new NEC Multisync Monitor! 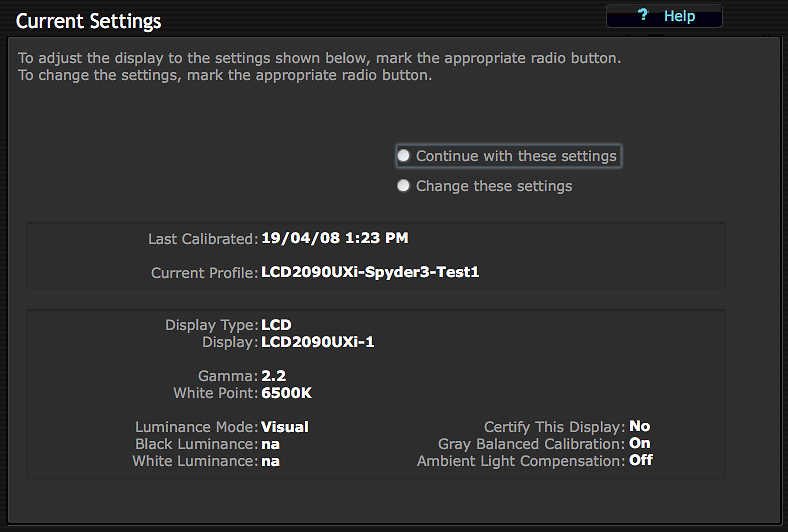 If you want to see some more numerical results of your calibration, go to 'Tools - Information' in the Spyder3 menus. Or graphs under Tools - Curves. There is also historical information available once you've done several calibrations, and a calibration validation function available. We'll leave those things for you to explore for yourself if you're interested - the Spyder3 software has excellent help on these more advanced features!